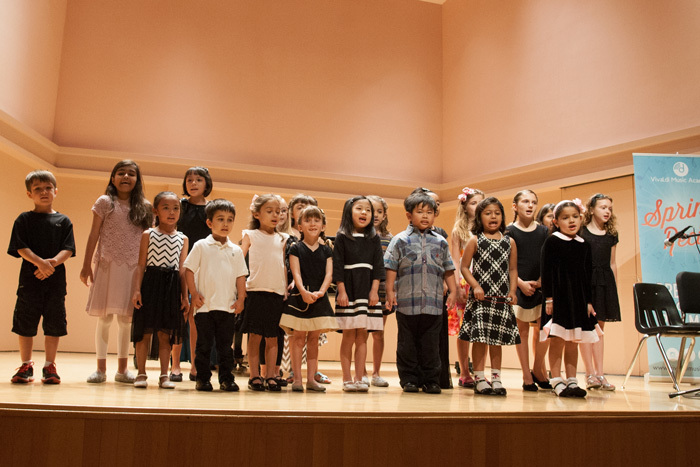 The Vivaldi Voices program offers Houston’s young vocalists, ages 6-10, an opportunity to light up the stage while learning the fundamentals of vocal technique. Our group voice teachers coach young singers to utilize their voices safely, with proper breathing technique, vocal exercises, and appropriate posture, while singing popular songs from musical theater to the classics as well as today’s pop hits! The Vivaldi Voices look forward to performances in our biannual recitals as well as numerous performance opportunities throughout Houston. Enrollment is determined by audition.